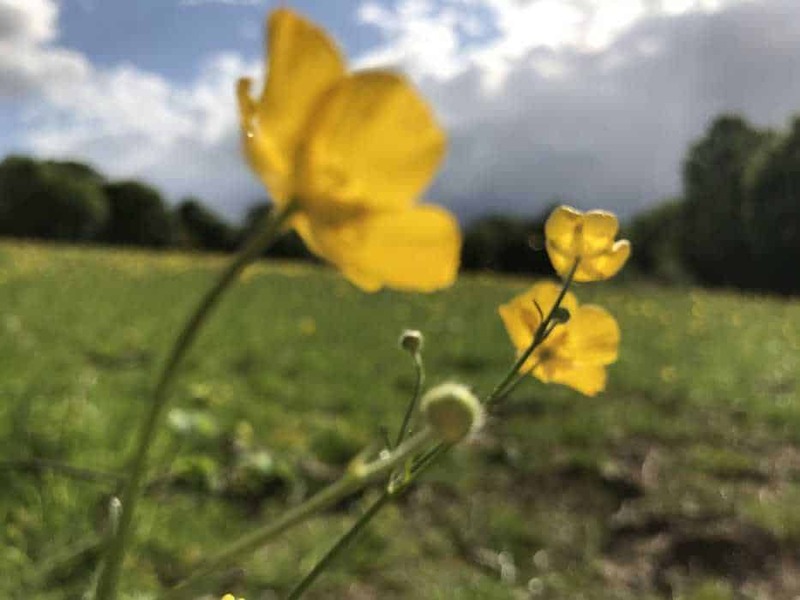 Why do we make such a fuss about hay fever? 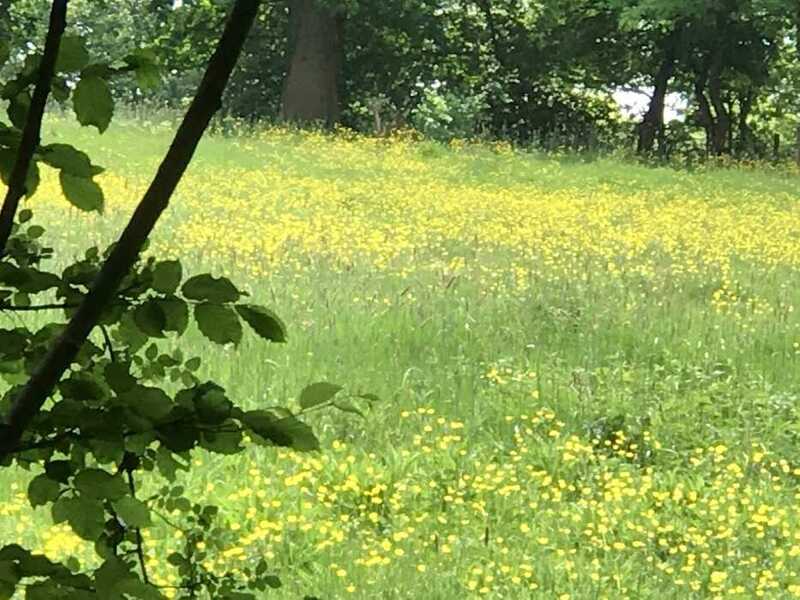 I’m sure if you’re reading this article you are obviously looking for ways to combat hay fever. And I do not use the term ‘combat’ lightly. Most of us that suffer from it do so for years, relentlessly. It’s not just the sneezing wholeheartedly with the entire body getting in on the act, the wheezing from sneezing so much, and the eye’s itching and streaming that gets me down. It’s the constant nose-blowing, bunged up feeling, as if I have a full-blown cold. In fact there have been times I haven’t been sure whether it was hay fever or a cold! Not to mention the exhaustion due to the over-the-counter anti-histamines that knock me out. I’ve often thought of taking one when I can’t sleep! Its soporific effect works a treat but not a good idea if I need to drive, or work, or live, for that matter. Find your local honey supplier, key word here being ‘local’ and take a large teaspoonful every day, 365 days per year. I take mine by adding it to my granola in the morning, together with cinnamon, a handful of walnuts and non-dairy milk such as almond or soya. Why the cinnamon? Because it’s good for cutting cholesterol and blood sugar levels, reducing blood pressure, and it is allegedly a beauty food (I need to up my dose ;-). Walnuts are great for lowering cholesterol too, and are therefore good for the heart. They are a rich source of heart-healthy monounsaturated fats and an excellent source of omega-3 fatty acids. But let’s not lose our thread here: why does the honey have to be local? Because that way you will be ingesting local pollen. Over time, you may become less-sensitive to this pollen. As a result, you may experience fewer seasonal allergy symptoms. From my experience, this year my symptoms are much reduced. 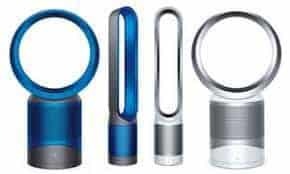 Purchase a Dyson cooling tower, or cooling/heating tower. Set it to ‘Auto’. Make sure you have it on in your office, and sleep with it on in your bedroom. The Dyson tower removes small particles from the air, including pollen. I am able to have the windows open with the tower on auto and have the best of both worlds. From my experience, my eyes stop itching within minutes of switching it on and I am able to work, and get a good night’s sleep. Worth every penny (it’s not cheap!). This is probably obvious, but change your clothes often, shampoo your hair frequently. Dust with a damp cloth to avoid the settled pollen getting into the atmosphere. Change bed sheets and hoover curtains and carpets as often as you can. 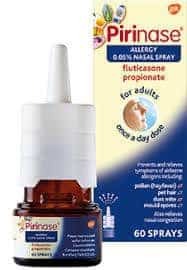 If all else fails, supplement with Pirinase allergy nasal spray – two sprays in each nostril (no more than once every 24 hours – always read the instructions. The one you purchase may be a different dose to mine). Don’t inhale deeply – you want the chemical to stay in your nose. I find that I rarely need it because I’m doing all the 3 Ways mentioned above, so I don’t use it every day, just as needed (rarely). That’s it. I’ve tried everything else and there were summers where nothing worked for me, until I tried everything I’m recommending above. Let me know how you get on and if you have any tips for me!